Playing electric guitar requires a lot more gear than just the guitar itself and an amp. That's nothing new. However, it is surprising how many guitar players out there completely disregard the quality of their accessories. Today we are going to show you some of the best guitar cables on the market, and discuss why the quality of your guitar cables really matters. There's a lot of things that need to come together in order for your guitar signal to reach the amp with no impact on its quality or strength. Unfortunately, not every cable meets these standards. Some are poorly made, or use mediocre components. 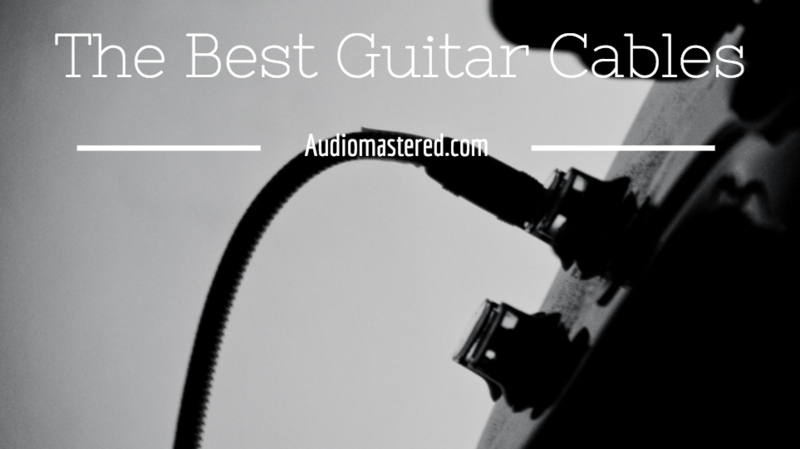 Let's go over some of the most important factors that will define the quality of a guitar cable. When it comes to connectors, you will often hear people talking about different materials used to make this component. Some will say that gold plated is the only way to go, while others will disagree. All of that comes second. What matters the most is how well everything was put together. You will generally want metal connectors with good, thick solder applied. That soldering between the cable and the connector itself is the number one cause of cable instrument cable failure. While we are still talking about connectors, it is worth mentioning their shape as well. Angled connectors often work great for the end that goes into the guitar. Their shape reduces the risk of cable cracking due to being bent all the time. 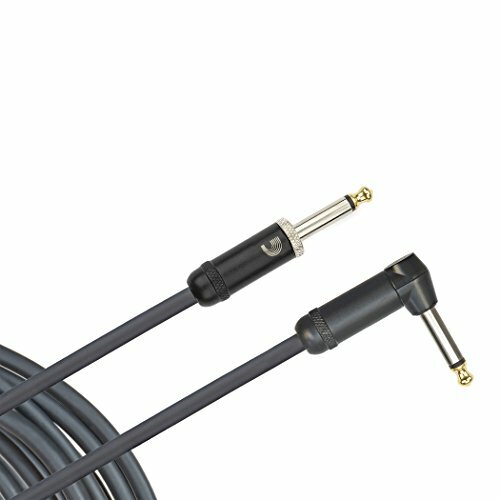 Aside from being a vessel that allows your guitar's signal to reach the amp, a cable also needs to protect the said signal. Shielding is also one of the main tell tale signs of how good a cable is. Since instrument cables are unbalanced, they are extremely susceptible to magnetic interference and radio interference. Depending on the type of shielding you get, the impact of both the radio waves and magnetic fields nearby will impact your signal more or less. Braided shielding is currently the standard if you are looking for quality. There is also serve shielding which is a bit more affordable, but still does a more than decent job at keeping your signal clean. Everything else is sub par. One of the less known facts about instrument cables is that they have a limit on length. If you were to take a 100 foot cable and plug into a guitar, chances are you wouldn't hear anything coming from the amp. Unbalanced nature of instrument cables means that the longer your cable is, more noise will pollute the signal. This isn't to say that you have to work with 3 feet of cable. On the contrary, you can extend the length of a cable given that it is made using quality components, and that it features good shielding. If you plan on using these patch chords for acoustic guitars, make sure you check out our research on the top acoustic pre-amps on the market! 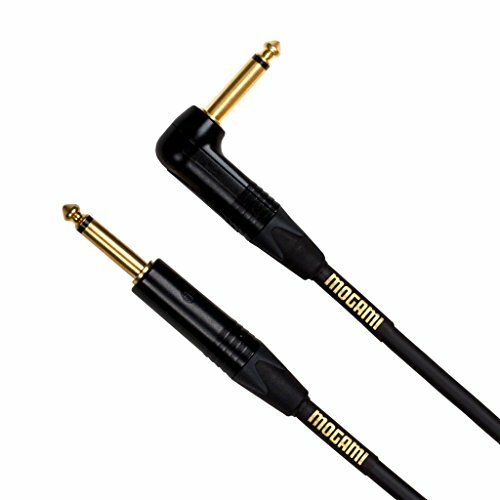 Mogami's gold plated instrument cable is by far one of the best offering on the market these days. Everything about this cable screams quality. They have used their high definition conductors as the core of the cable, only adding on quality insulation and shielding. The jacks are gold plated, as the name states, and come in a very sleek format. While the connector bodies aren't angled, they are metallic. What really makes this model stand out is the quality of the soldering job. With proper care, these won't fail on you. On top of that, the performance you get is pretty impressive as it is. 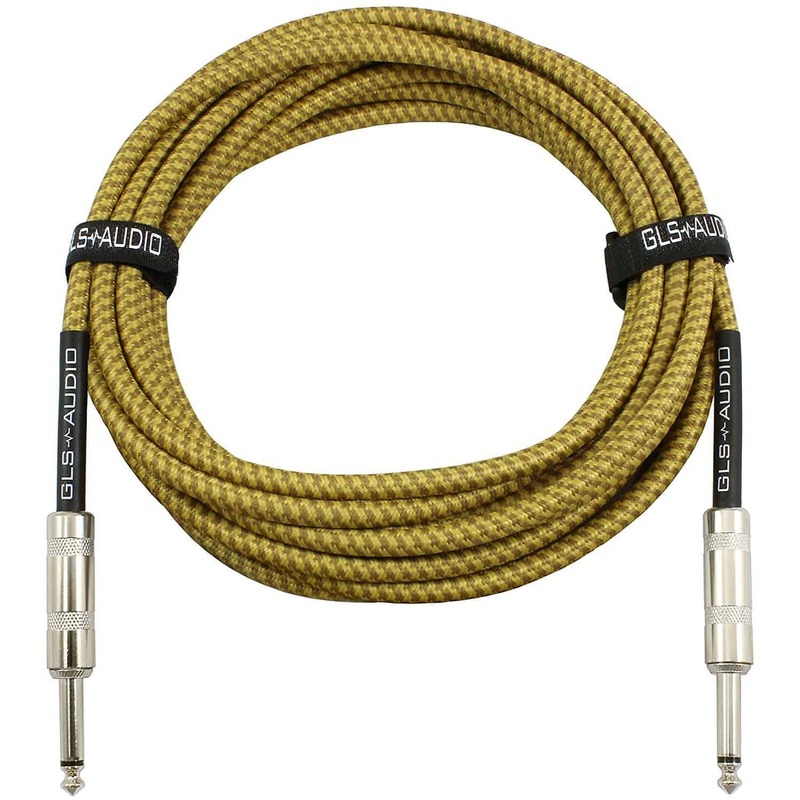 Next cable comes from GLS Audio, and features more or less everything you would want in a quality instrument cable. The primary selling point for this model is the low capacitance and quality PVC shielding. All of that is neatly packed in a braided cloth jacket that prevents the cables from cracking during use, while also adding to the overall insulation. Connectors GLS Audio chose for this occasion are full metal units with top quality soldering jobs on each end. For a 20 feet long cable, you would expect the signal quality to start dropping. However, that is not the case. On the contrary, this cable delivers crystal clear signal clarity. Monester's S100-I-12 instrument cable represents the best middle of the road solution. Its connector housing is not made of metal, there is no braided jacket, but it still has a lot to offer. Monster has used heavy duty injection molding process to produce the connector housings. This gives you extended lifetime and much higher resistance to wear. The cable itself features a rather pure copper core that has been wrapped in Duraflex protective jacket. In between those, you will find copper braided shielding that reduces interference quite efficiently. For this type of money, you will hardly find something better. 24k gold contact 1/4-Inch connectors are durable and corrosion resistant. Planet Waves offers a wide variety of instrument cables in their current lineup. 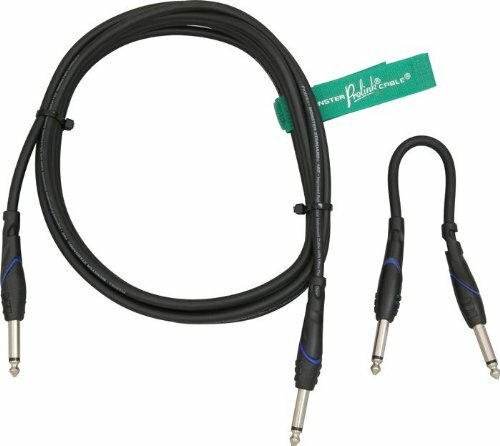 American Stage instrument cable is the one that caught our eye. They actually let you choose the configuration of the connectors, offering both angled, both straight ends or a mixture of the two. Quality wise, everything is more or less on point. Connectors are soldered well, guaranteeing solid signal transfer while the cable itself comes with thinned copper braided shielding as well as conductive PVC. Overall, everything about this cable meets the standards of quality which we are looking for today. Lastly, let's mention a more affordable braided set from KLIQ. This cable is the ultimate budget solution. KLIQ actually included Neutrik's connectors which are known as one of the better on the market. Soldering job looks promising while the connectors are fully accessible if there is any need for repairs. Cable braiding is very nicely done, with just enough flex to make the cable practical both on stage and in a studio. In terms of shielding, you are looking at an oxygen free copper core wrapped in a dual shielding layer that offers solid EMI and RFI protection. On top of all that, these actually come with a lifetime warranty, so you are covered no matter what happens. LOW NOISE HIGH FIDELITY: With its 24AWG oxygen-free pure copper core, and high-density OFC 99% braided shield, this low capacitance guitar cable was designed to carry every bit of your precious tone, while rejecting handling noise and interference. 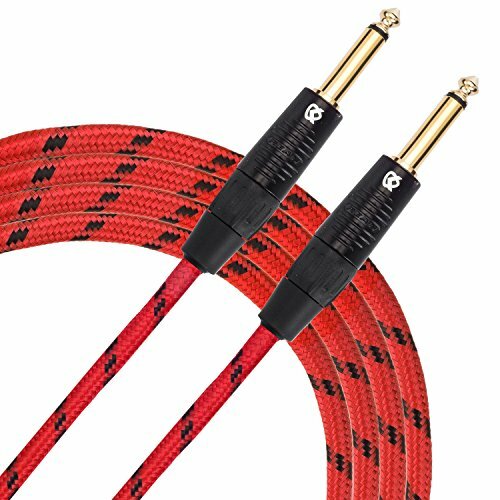 BUILT TOUGH FOR THE STAGE OR STUDIO: Thanks to a powerful chuck-type strain relief and a rugged tweed outer jacket, this cable will stand up to considerable abuse on stage, while delivering the pristine signal clarity that's critical for recording. 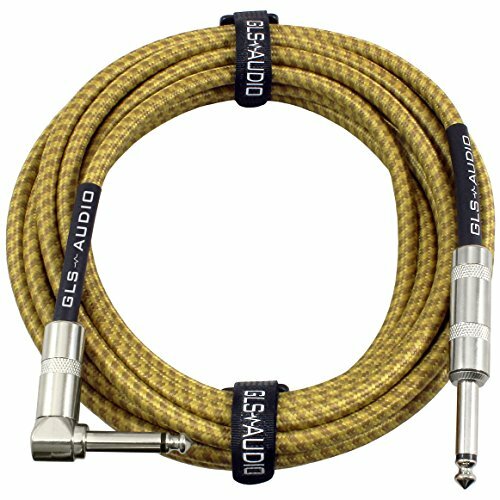 Finding the best guitar cable might be a tall order as there are so many great models out there. The ones we have shown you are guaranteed to give you solid performance no matter what the job is. We have also included several affordable cables, meaning that you will still end up with a few choices no matter what your budget limitations are.